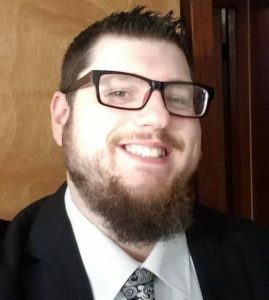 Phillips Precision, Inc. announces Allan DeLisle as the new Technical Sales Coordinator for their Products Division which manufactures and sells fixture systems for parts inspection (Inspection Arsenal®) and laser marking (Laser Arsenal®). Allan is hard at work designing bleeding edge selling tools for the forward-thinking company and will work to build and support distribution across the country. Catherine Phillips, Business Manager says, “Allan brings high level of enthusiasm, a deep knowledge of contemporary marketing approaches, and product knowledge.” Allan is excited to help manufacturers, “My mission is to get manufacturers to understand how fast our modular fixturing can accelerate their production. We don’t want manufacturers using old techniques to be left behind. Big things are going to happen in 2019 – I can feel it!” Allan is pushing to fulfill the company’s contemporary marketing plan for this industry-unique modular fixture system. 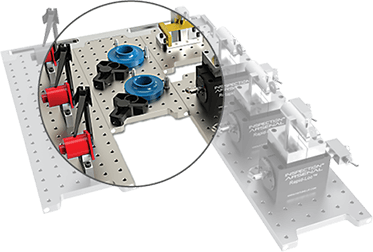 If you’d like to help us welcome Allan, learn about the product lines, or would like more information about becoming a distributor, feel free to email him at ADelisle at phillips-precision.com. 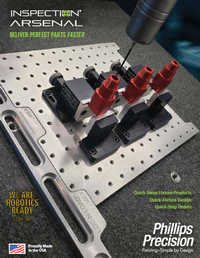 Company and product information can be found at www.phillips-precision.com.